Entitled LACE, the jewelry collection comprises of a line of 3D printed wearable designs including necklaces and rings inspired by line-based geometry and intricate, organic movement, standing-out as a bold statement on the body. The leading LACE design is the Tangens necklace, available in black, white, and translucent. 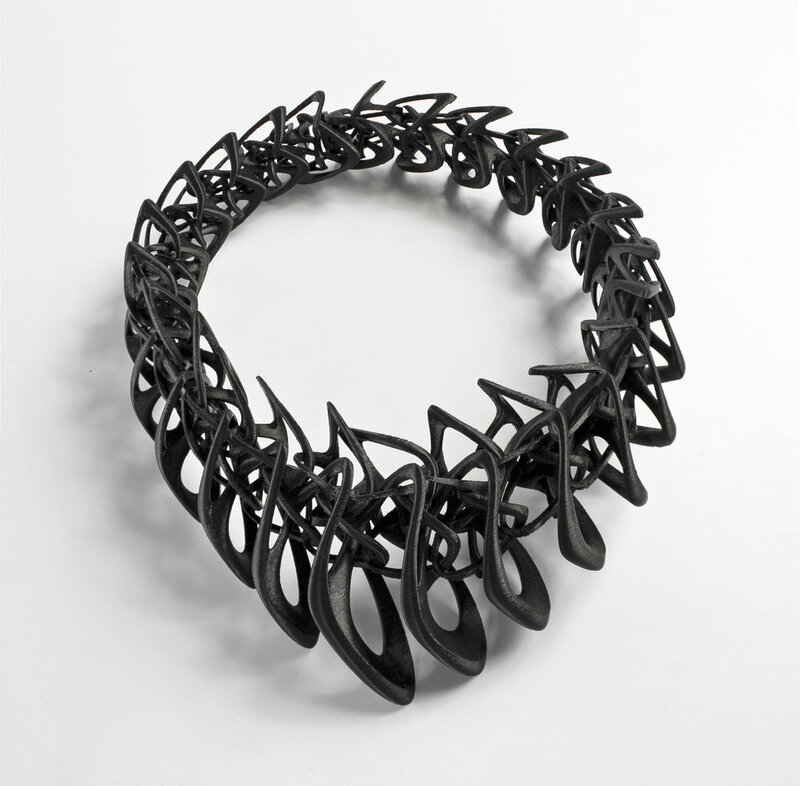 The intricately-detailed necklace has interlocking elements created with the Stratasys Fortus 400mc Production 3D Printer, utilizing the benefits of tight tolerances, fine details, durability and translucence possible with Stratasys FDM technology. The ABS-M30 3D printing material was chosen for Tangens thanks to its ability to execute accurate complex geometry with striations from the layering process. This gives the necklace a unique velvety quality, as well as a robust, thick structure, which results in a wearable item that is elegant, yet durable. Jenny Wu is a classically trained architect who uses her background in avant-garde structural design as inspiration for her line of 3D wearables. Her pieces are an incredible showcase of how large-scale vision can translate to small-scale design, all coming to life using a 3D production process.